We are accepting Custom Cake orders on a limited bases. Please email or call for a consultation. La Bakeri was established in 1980 by Carmelo Greco and quickly become a Hamilton favourite known for its Sicilian Cannoli, pastries and Italian tortes - made in house from scratch with love. True to our roots, La Bakeri maintains strong ties to the Sicilian culture and heritage. We are fiercely dedicated to the community and take pride in our exceptional customer service, fair prices and above all, tasty quality products. Today, La Bakeri is owned and operated by Marisa Scibetta, close friend and paesan to the Greco family. Marisa is proud to carry on the traditions that Carm started more than three decades ago, and is passionate about combining them with her new creations like custom-made cakes. 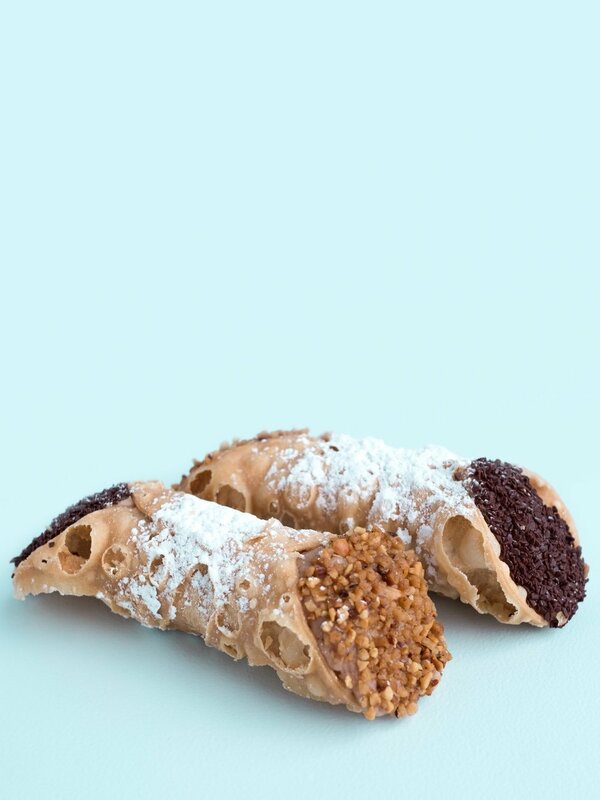 Drop in and try one (or a few...) of the tastiest Italian treats in town. We promise you'll keep coming back for more!